Sarah Tickle is an Adelaide-based emerging artist who graduated with Honours in 2015 from Adelaide Central School of Art. Tickle uses the medium of video and installation art to explore the impact cinema and gender non-conformity has had on her life. As a result of mental illness, Tickle was housebound for years starting in her formative teenage years. During this time, Tickle found the only people she identified with, and learnt from, were the gender non-conformist characters from the big screen. These young and wild girls, played by actors such as Jodie Foster and Mary Stewart Masterson, never apologised for being their true selves. They provided Tickle with a strong sense of community. 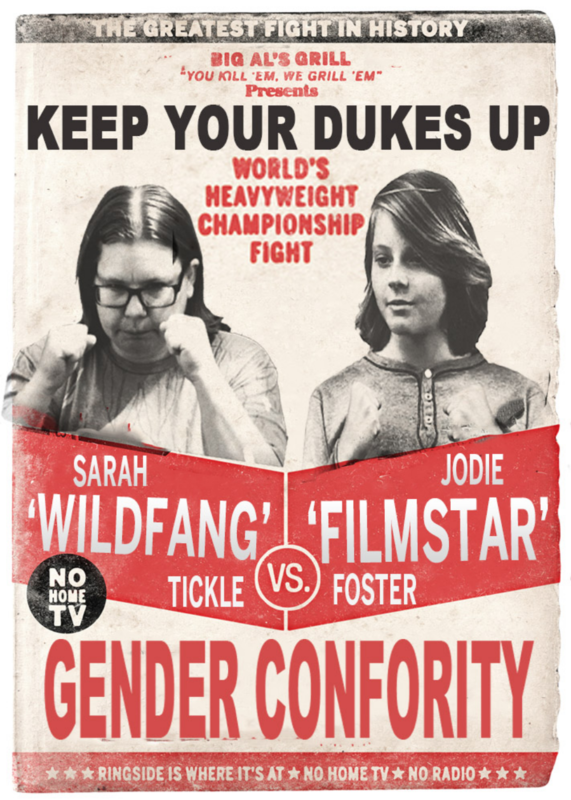 Tickle’s work explores the connection one can have with a character from the big screen, in Tickle’s case, the gender non-conformists (tomboys). Tickle’s work provides the viewer an experience of the feelings/connection she has with these independent characters. This is not sexual attraction or fandom: it’s a powerful bond which Tickle is only beginning to understand herself.